A good non-scrach eco friendly cleaner for most surfaces. Useful for baths, floor, paintwork, etc. For small areas, use undiluted, for larger areas, add a small amount to water for maximum effect. 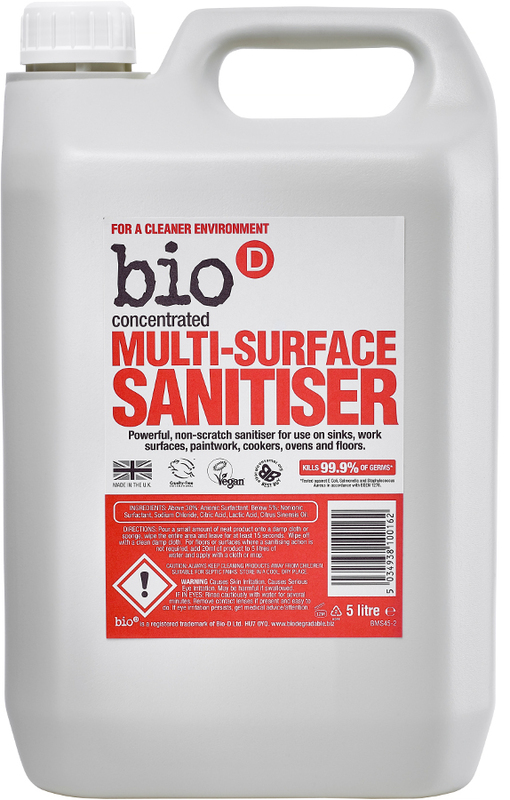 The Bio D Multi Surface Sanitiser - 5L product ethics are indicated below. To learn more about these product ethics and to see related products, follow the links below. Great product, cleans kitchen worktops really well without a strong chemical smell, it even cleans a pretty grubby hob well if left to soak for a few minutes. I've also used it on windows, painted woodwork, lino flooring and cat litter trays. A must have in my house. Great for all everyday cleaning tasks. Very versatile. Great value for money. 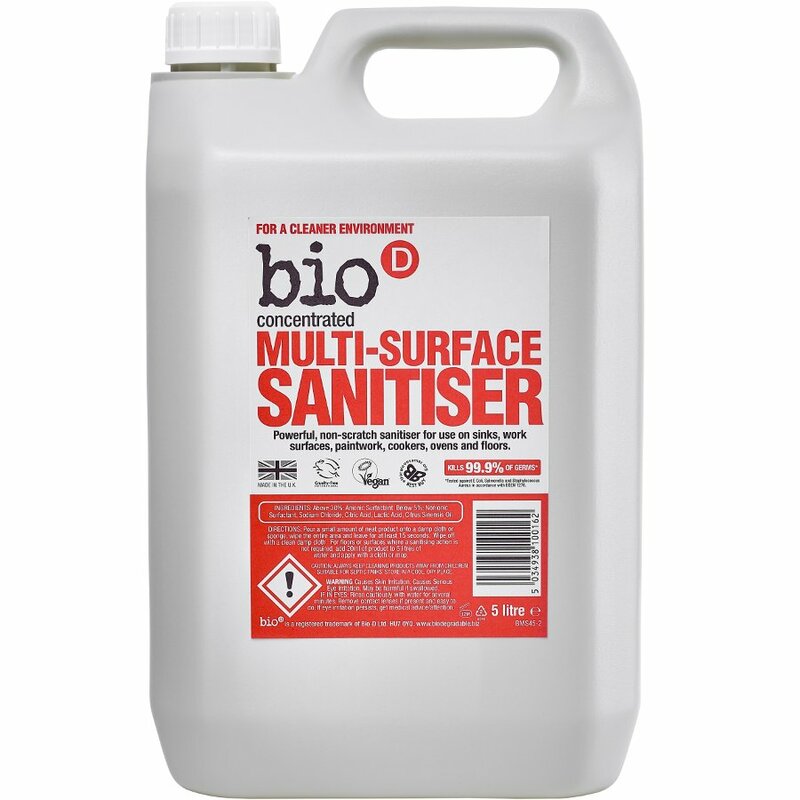 There are currently no questions to display about Bio D Multi Surface Sanitiser - 5L.